A game that seeks to transfer the thrill of Monster Jam to pocket-sized screens? That's a tall order, and the intent behind the new game from GameMill that features a wide range of famous trucks going up against a handful of towing, freestyle and racing challenges. How well does the game deliver on that lofty promise, then? Visually Monster Jam looks impressive, except for a few outdoor environments that suffer from framerate stutter. For the most part though, the arenas, outdoor environments and vehicles really sparkle on the small screen. There are plenty of the latter to unlock too, with an upgrade system that should keep you tinkering away at improvements for a while to come. You'll need a fair bit of cash to make those upgrades, but even the clumsiest hands should have no trouble grabbing a decent chunk of coins from each challenge. 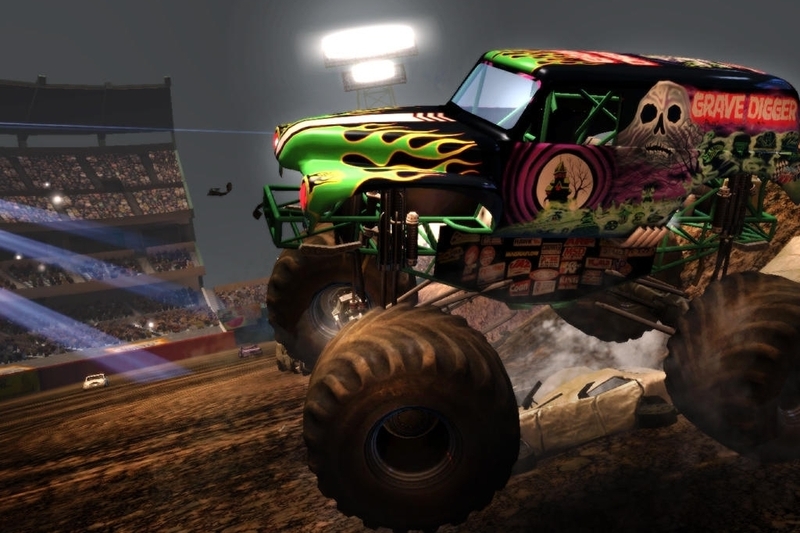 Everything that's good about Monster Jam is, sadly, seriously let down by a pretty rough physics engine and some even worse handling. You'll pull off some neat stunts from time to time, but rarely the one you actually intended to perform, and so the fun moments you have in the game feel entirely accidental. That part of the game's challenge is to perform specific stunts only compounds the problem, and the freemium business model limits playtime and practice. All round, it's a frustrating affair we're sorry to say. It's a real shame that the generally high polish of the visuals, and the fun handful of gameplay types hasn't been extended to the core engine powering everything underneath. By all means dip into this free game to kill a few minutes on the way to work or school, but don't expect anything truly worthy of the real thing.